This poor kitten didn't know what she was in for when she had to make a visit to the vet. Luckily she had his sister - an attentive husky - for support. 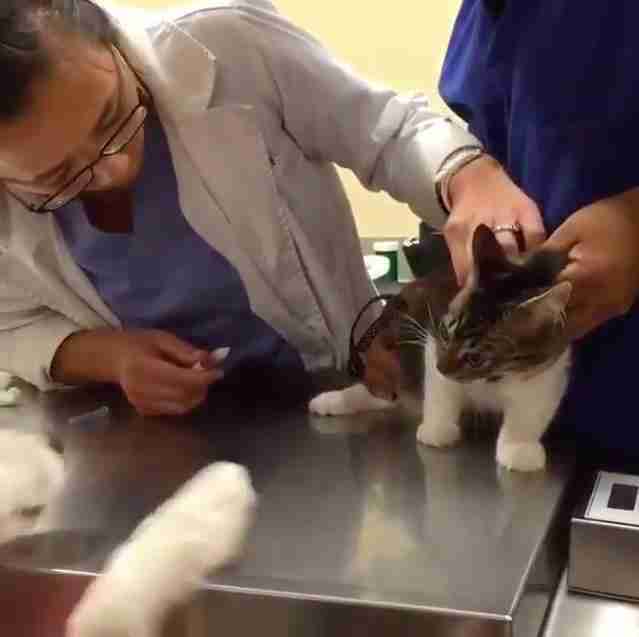 The kitten seemed a little terrified at first while the doctors gave her a quick checkup. 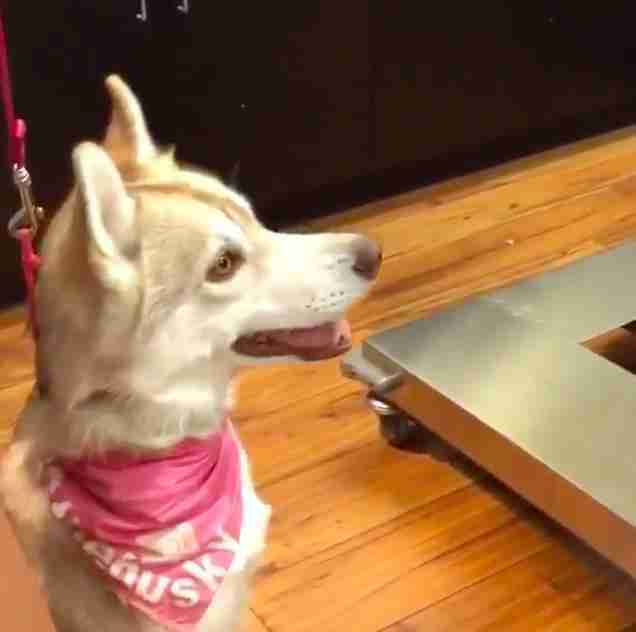 Her husky sister waited by her side anxiously, but it's obvious the scared cat was in distress. The husky tried to hop onto the table to let her sister know she's not alone. 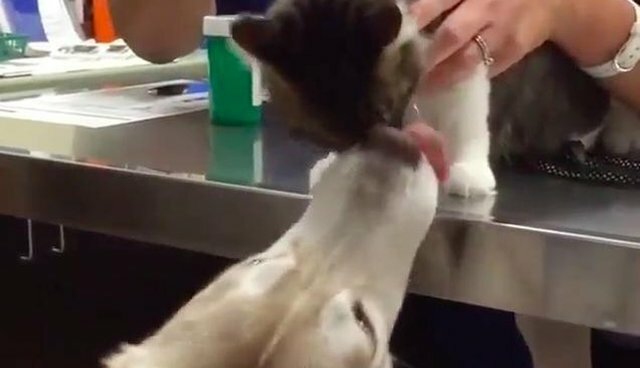 Once the vet visit is over, the husky showers the little gal with kisses - just so she knows everything is OK.
Who said cats and dogs can't get along? Check out these pets who are dealing with the vet the very best they can.